As parents, we know that getting our children involved in the cooking will help them take a greater interest in what they eat. However, it’s not always that simple to think beyond cooking cookies and cakes! The summer series is here to help! I am going to introduce you to some short recipes that will get you and your children into the kitchen together to explore some new flavours and learn some new cooking techniques! 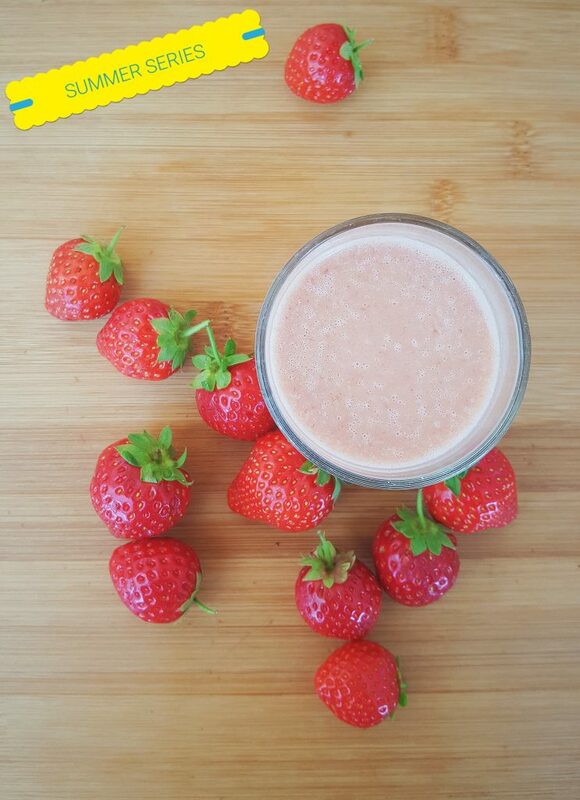 Starting out simple this week, this smoothie is great for breakfast or as an alternative mid-morning snack…as we know that children double up their meal intake in the holidays! The recipe is designed as a guideline and the aim is more about participation than perfection, so feel free to be flexible to your childs needs. But also dare to challenge them a little! They may surprise you by taking it in their stride in adding a bit of avocado or a few spinach leaves to this smoothie….and trust me, they won’t even taste it! Good luck! Please post up your creations and pictures in The Fuss Free Foodie community on Facebook and if you need any ideas for special dietary requirements just post on the thread and the community and I will do our best to help you! If you like it and are happy to, it would be great to reach out to more parents so please share with the buttons at the bottom or directly on FB. In a blender jug add the almond or cows milk. Add the peanut butter, strawberries, avocado (or spinach), dates and ice if using. Blend the mixture for 2 minutes (more or less depending on your blender) until all smooth.